Mommy's Closet is a free crisis resource provider that lends a helping hand to moms, dads, and families with children under the age of five. Because young families have particular needs yet sometimes have trouble meeting those needs for a variety of reasons, Mommy's Closet provides assistance by supplying necessities to help take care of babies and children. Mommy's Closet provides a safe place for parents to come and problem solve issues surrounding parenting, housing, education, employment, and general finances. Reaching a goal of self sufficiency is supported through Volunteers of America working along with other agencies to facilitate the parent's growth. How does Mommy's Closet support parents? What supplies are provided to parents? Mommy's Closet is a free crisis resource provider that lends a helping hand to moms, dads, and families with children under the age of five. Hours: Monday, Tuesday, Thursday and Friday from 11:00 a.m. to 4:00 p.m.
Mommy’s Closet is a member of the National Diaper Bank Network (NDBN), the only diaper bank on the western side of SD. 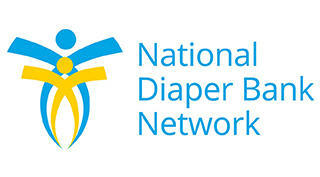 NDBN is a nationwide network of independently operating diaper banks and pantries that collect and distribute over 30 million diapers for children experiencing diaper need.